Ryan Hall will take your back. While better known for his 50/50 guard and triangle, the current Marcelo Garcia Team member has developed a comprehensive system of taking the back that was honed through his remarkably active competition schedule. Maybe fans and opponents started realizing this in 2009, when at ADCC Ryan Hall took the back in every match he won, including an omoplata to the back on Jeff Curran, followed by a near back take on Leo Vieira, before ultimately winning the bronze medal with arguably the most important and hard-fought back take of his career against Jeff Glover. While his career at black belt has been plagued with injury and some controversial defeats, Hall has managed to rack up some impressive victories at regional Jiu Jitsu tournaments with a host of unique back takes including his signature rolling back takes, armdrags, his highly-effective sit-back back take, and at least one berimbolo. I am particularly interested in his sit-back technique, which is only described in his (excellent) DVD series on attacking the back as “Attacking the Turtle 1.” It’s a variant of his previously-described “crotch lock and roll,” so I guess you could call it a “crotch lock and sit.” Regardless, it’s a powerful method of controlling your opponent’s hips as you work your way onto the back. I was blown away by the control offered by the “Crotch lock and sit” when I happened across a highlight video of Ryan’s performance at the 2010 Gracie Nationals, where he pulled it off against Gracie Barra’s (now Atos) Brian Morizi and Paragon’s Milton Bastos. I was particularly interested in Ryan’s variation when his opponent turns into him from side control, allowing him to circle around the the crotch-lock position. Interestingly in his Back Attacks DVD set Ryan mentions he has so much experience with the position that he no longer needs to use his hands for the crotch lock. I didn’t see any evidence of this while going through his footage, although with Ryan being sidelined with reoccurring hand and wrist injuries, anything that takes his hands out of play can only be a good thing. Check out the video below for a history of Ryan Hall’s back takes, including some of his most famous victories. Thankfully, there is a ton of footage of Ryan on the internet. Unfortunately, most of it is of awful quality. I thought the raw nature of some of the footage called for a “raw” rock n’ roll song. A rare live version of David Bowie and Iggy Pop’s The Passenger fit the bill. Alternate ideas for Ryan Hall highlight videos were: “Ryan Hall gets screwed by a referee,” “Ryan Hall’s opponent stalls or blatantly runs away,” “Ryan Hall destroys his opponent’s knee, feels bad about it,” and of course “Ryan Hall looks awkwardly at his corner to ask about the score.” There was enough footage for a full video on each of these. The Jake Mackenzie-style back take from deep half with the added roll on Hermes Franca is still the most beautiful technique I’ve seen in Jiu Jitsu. One back take that didn’t make the cut was Ryan’s run-in with a drunken yokel at a pizza restaurant that resulted in Hall snatching a dude out of a building then choking him unconscious with an RNC. It was even the subject of an entire interview on the Fightworks Podcast. 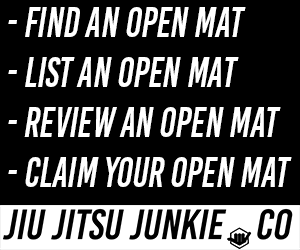 This article originally featured on the blog The Jiu-Jitsu Laboratory and was reposted with permission of the owner.